What are some of your favorite summer road trips, either from NYC or wherever you live? visit Niagara Falls. It's definitely a trek from NYC, there's definitely not much else to do in the area, and it's definitely VERY touristy, but seeing the falls is kind of an epic thing to do. go to Beacon. It's a quaint town with amazing food and cool artsy vibes that feel much farther away from New York than a mere 1.5 hours. It's far less touristy than nearby Hudson, but still has great art available (Dia Beacon), cool hiking spots nearby, farmer's markets, pretty river views and antique stores aka what seems to be the requisite for an escape for any city dweller. As if that isn't enough, there are even a few great wineries along the way. Cape Cod is where you'll want to head. I might be biased because my family would summer here when I was littler, but you really can't get more classic New England than the Cape. Expect lots of classic New England summer seafood staples, beautiful Cape Cod style homes and pristine beaches. There are some stunning hotel properties (like the amazing Chatham Bars Inn that I stayed in last summer), but it's also a great spot to rent a house with family or friends. then make your way to the Berkshires. Again, I might be biased with this one, since I grew up here, but I just love the Berkshires in the summertime. The hills are lush and green, perfect for hiking, and the lakes are crisp and cool, perfect for diving in post-hike, having a picnic, or taking a kayak out. Of course, there are other things to do, too, from performances and plays to music at Tanglewood to quaint towns filled with antiques and galleries to historic mansion tours and museums, it's a perfect spot to get inspired, be outdoors and relax, all at the same time. Upstate New York is a great spot to be. 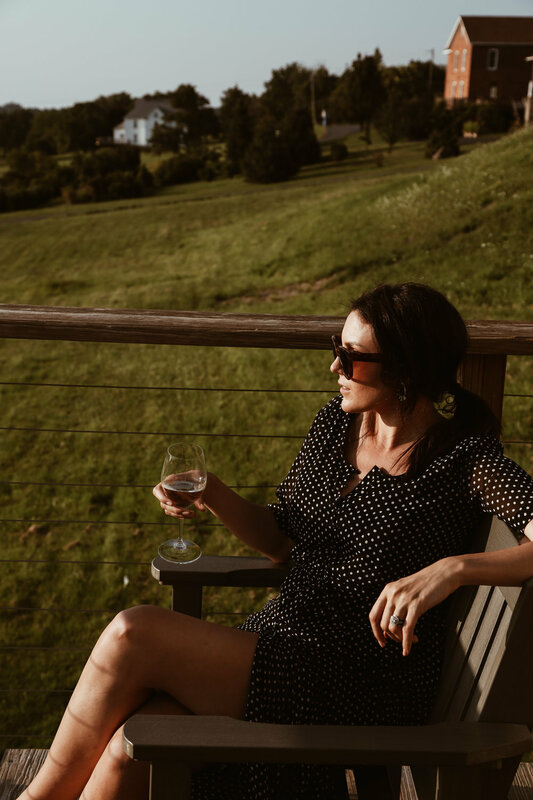 There are too many wineries too count, plenty of good food, pretty hiking spots, lakes to dive into and, if camping or glamping is your thing, it's a perfect spot to do either. check out Portsmouth, New Hampshire. It's even closer to New York, but still has lots of great food and things to do, right in a beautiful New England Coastal town.